Coinciding with the dawn of the Middle Mississippian Culture at the ancient city of Cahokia nearly 1,000 years ago, a group canoed over 500 miles up the Mississippi River to establish a settlement at Trempealeau, Wisconsin. Antiquarian records alluded to distinct platform mounds and exotic ceramics, but only recently has the age, extent, and purpose of Trempealeau’s very early Mississippian expression been thoroughly explored. Ongoing excavations since 2010 have revealed that the Cahokians carried ceramic vessels and a variety of flint stones from their homeland along with their architecture and religion to this far-flung yet short-lived outpost; and why they came to Trempealeau. 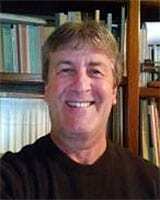 Robert “Ernie” Boszhardt is a Wisconsin archaeologist with over 40 years of experience. His research has focused on the unglaciated Driftless Area of western Wisconsin where he has studied and written extensively about nearly all aspects of that region’s archaeological heritage, including Paleoindian, Hopewell, Effigy Mounds, Oneota, rock art, and most recently Middle Mississippian. He currently is co-owner of Driftless Pathways LLC. with his wife Danielle Benden who together direct the Trempealeau Archaeology Project. Boszhardt-authored books on the Trempealeau research and regional rock art will be available for purchase and signing at the talk. It was not until centuries later that a new cultural renaissance emerged in Greece and the other affected areas, setting the stage for the evolution of Western society as we know it today. Blame for the end of the Late Bronze Age is usually laid squarely at the feet of the so-called Sea Peoples, known to us from the records of the Egyptian pharaohs Merneptah and Ramses III. However, as was the case with the fall of the Roman Empire, the end of the Bronze Age empires in this region was probably not the result of a single invasion, but rather of multiple causes. The Sea Peoples may well have been responsible for some of the destruction that occurred at the end of the Late Bronze Age, but it is much more likely that a concatenation of events, both human and natural — including earthquake storms, droughts, rebellions, and systems collapse — coalesced to create a “perfect storm” that brought the age to an end. In this illustrated lecture, based on his book of the same title 1177 BC: The Year Civilization Collapsed; Princeton University Press (2014), that was considered for a 2015 Pulitzer Prize, awarded the American School of Oriental Research’s 2014 prize for “Best Popular Book on Archaeology,” and is being translated into fourteen foreign languages. Eric H. Cline is a classical and biblical archaeologist and ancient historian whose primary fields of study are biblical archaeology, the military history of the Mediterranean world from antiquity to present, the Bronze Age Aegean, and the international connections between Greece, Egypt, and the Near East during the Late Bronze Age (1700-1100 BCE). He is director of the Tel Kabri Expedition and co-editor of the Bulletin of the American Schools of Oriental Research. After destroying multiple political rivals from neighboring kingdoms in Thailand and Vietnam, the Southeast Asian monarch known as Jayavarman VII (c.1125 to 1218 CE) reigned over the largest geographical expanse ever attained by the Angkorean Empire. Jayavarman VII’s instruments of rule simultaneously deployed extreme violence and profound compassion, brutal warfare and vigorous economic development. This talk will explore the contradictions and paradoxes of Jayavarman VII’s religious “infrastructure of compassion” that, for a time, held the empire of Angkor together, but ultimately fell into desuetude under the burden of its own ideology and the extreme “piety” of its patron. The life history of Jayavarman VII offers insight into the nature of rule and the role of religion in the construction and eventual disintegration of empire. 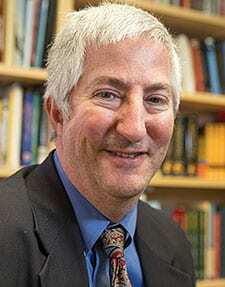 Alan L. Kolata, the Bernard E. and Ellen C. Sunny Distinguished Service Professor at the University of Chicago, holds his Ph.D. in Anthropology from Harvard University. 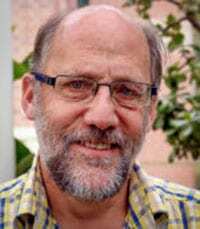 He specializes in organizing interdisciplinary research projects studying agroecology and the long-term interactions of humans with their physical environment, including the effects of climate change on human communities. 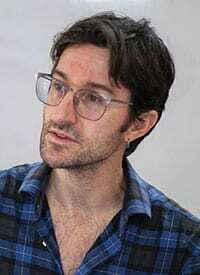 He has conducted archaeological research in complex urban societies of the Andes including Tiwanaku in Bolivia and Moche and Chimú in Perú and recently wrote a synthetic book on the Inca. He has also conducted research in Thailand and, over the past 15 years, in Cambodia where he and his collaborators currently focus on the physical, biological, and social impacts of large-scale hydroelectric development of the Mekong River Basin. For an update on the research in Cambodia see a shot article on their project Human Response to Environmental Change in the Lower Mekong River Basin. Like many state level societies, the Incas mummified their dead kings. Several times a year these mummies were assembled in the plaza of Cuzco for all to see. During the rest of the year the mummies could be seen in their royal palaces in Cuzco or in nearby royal estates. However, the fate of the mummified kings following the Spanish conquest of Peru has never been resolved. Several lines of evidence indicate that five of the royal mummies were deposited in the Hospital of San Andrés in Lima in 1560. In this presentation, I summarize what is currently known concerning the fate of the royal Inca mummies as well as the results of a recent ground-penetrating radar survey and an archaeological testing program which we conducted on the hospital grounds. While we did not find the royal mummies, the historical research and archaeological field work yielded new information on the history of the San Andrés compound and life in Lima during Early Colonial times. Brian Bauer is an archaeolgist focused on the development of complex societies in the Americas and the European—American contact period. research projects generally revolve around his theoretical interests in the development of social inequalities and require the extensive use of both archaeological data (survey and excavations) and historical research (classic chronicles and archival documents). 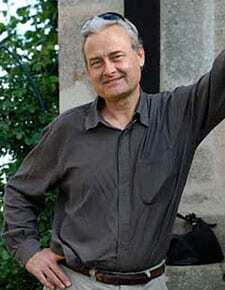 Professor Richard is best known for his work in the Cuzco region and of the Inca Empire. When the University of Leicester Archaeology Service undertook the Grey Friars project, it was thought that the chances of finding the remains of Richard III were slim to none. Nevertheless, Turi King, with her background both in archaeology (at the University of British Columbia and then the University of Cambridge) and genetics (at the University of Leicester where Professor Sir Alec Jeffreys, the inventor of DNA fingerprinting, was on her PhD panel), was the first team member approached by the lead archaeologist for the dig—should the skeletal remains of a “good candidate”; to be Richard III be found, would she be interested in overseeing the DNA analysis from planning the dig through to it’s conclusion. Turi King will speak about the Grey Friars project, from the early stages of planning the dig, through to the excavation and the results of the various strands of analysis, particularly the genetics, carried out on the remains. Turi King is the Director of the Forensic and Ancient Biomolecules (FAB) Group at the University of Leicester, England. She holds her degrees from the University of Cambridge and the University of Leicester (MSc and PhD), and her fields of specialization are genetics and its implications for archaeology, history and geography, and genetic genealogy and forensics. Professor King led the international research team involved in the DNA identification of the remains of Richard III, and she is also leading the project carrying out the whole genome sequencing of Richard III. 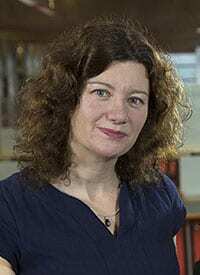 She is also currently leading a project examining the genetic legacy of the Vikings in the north of England. Professor Richard presents the community histories of two villages of the Siin province of Senegal, Diohine and Mbissel, before and after Atlantic contacts. By exploring these two villages’ histories through archaeological excavations complemented by documentary sources, Dr. Richard evaluates the impacts of Atlantic inter-continental contact on rural societies in the region. Particularly, Dr. Richard assesses the idea that European commerce marked a historical rupture with that inaugurated a period of political instability and loss of economic autonomy in Western African villages. Material evidence based on four years of excavations combine with archival and oral data to suggest that the effects of the Atlantic trade were not uniformly disruptive of political stability and economic autonomy within African society. The results were in fact more complicated, diffuse, and mitigated by enduring African social practices. Moreover, the supposed changes brought by Euro-African Atlantic trade were characterized as much by continuities as by transformations. In the context of intercontinental trade, village lives were reshaped in ways demonstrating both resilience and rupture. Archaeological patterns at Mbissel and Diohine show that the impacts of intercontinental contacts varied between coastal and hinterland settlements, thus enriching our understanding of global entanglements and rural settlements. François Richard is a historical anthropologist and archaeologist interested in material histories of French colonialism and imperialism. His research focuses on two areas, West Africa and post-independence Mexico, though he has also conducted research in the United States and the Caribbean, and maintain a keen interest in the Atlantic world and postcolonial France.